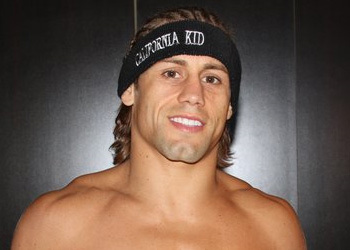 Former WEC featherweight champ Urijah Faber and Eddie Wineland made their big league debuts Saturday night at UFC 128. After losing the opening five minutes, Faber rallied to take home the unanimous decision (29-28, All Three Judges) victory. “The California Kid” dropped to the 135-pound division in his last Octagon outing and submitted Takeya Mizugaki at WEC 52 in November. Following his latest win, Faber called for a shot at Dominick Cruz’s bantamweight belt. Although he didn’t provide the spectacular finish in tonight’s co-main event, Faber promised things would be different if he gets his hands on Cruz. Please click HERE for our live coverage of the UFC 128. The pay-per-view broadcast is headlined by a light heavyweight title affair between Jon Jones and champion Mauricio “Shogun” Rua. The Prudential Center in Newark, New Jersey is hosting the star-studded event.